When you believe that you are overpaying on your personal property tax, you may make swift moves towards an appeal. Although most Dallas property owners know that the process exists, there are still several misconceptions about the process that could leave you with a lot of money on the table. 1. I Filed a Protest! Therefore, I Don’t Have to Pay! Please don’t make the grave mistake of believing that you are exempt from paying your property taxes because of an appeal. Even though you may disagree with having to pay your property taxes, you must still pay. Filing a process may create a pending case with your local tax assessor, however, you must still pay at least the lesser of the amount of taxes due on or before the delinquency date. One of the key strategies to ensuring that your property assessment is incorrect is by comparing your property’s value to similar properties in the area. However, a successful comparison is not made by simply assessing a few houses in your neighborhood. While these properties may be similar on the outside, they may also be over-assessed or may qualify for tax exemptions that you can’t achieve. Working with a realtor or property tax consultant is the easiest and most accurate way to find the right comparable during your dispute. Some people think that their property taxes are a fixed rate billed on an annual basis. These are also the individuals that believe property tax appeals are a waste of their time. However, if you don’t appeal your property taxes they are going to certainly increase substantially over time. Remember, the only way you will ever be able to benefit from a reduction in your statement is by appealing. Not doing so could cost you thousands extra that you would normally pay without a second thought. Just because you’ve had a successful appeal in the past, doesn’t mean that you should stop trying to save yourself money in the coming years. This can be a costly mistake due to the equalization factor having a potential impact on your future statements. 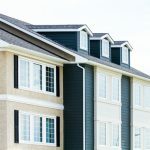 The danger of the equalization factor is that even though you have reduced your property’s assessed value at one point in time, the assessed value can still fluctuate depending on your current market factors. Your property tax appeal is not a process that you want to ruin with easily made mistakes. Should you have questions about your dispute, make sure to consult with a professional. At the Hegwood Group, we are an experienced team of property tax consultants that can help you reduce how much you pay on your annual property tax bill. Get in touch with us today to schedule a consultation.